Do you buy souvenirs for your family while on vacation? Something besides the clever and timeless “My sister went to Europe and all I got was this lousy t-shirt”? I received this postcard from France. It started out like a very bad foreign film. I don’t speak Italian – Sergio Rivetto doesn’t speak English. Sergio speaks German – sadly the only German I know is from Sgt. 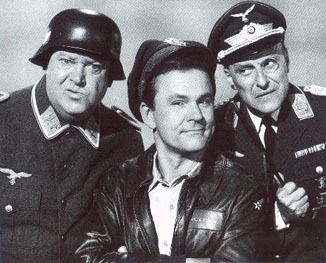 Schultz, of Hogan’s Heroes, and counting to 13 or telling someone to “rouse” doesn’t help much in casual conversation. I am “pathétique” in French, which is still a little more of that language than Sergio understands. 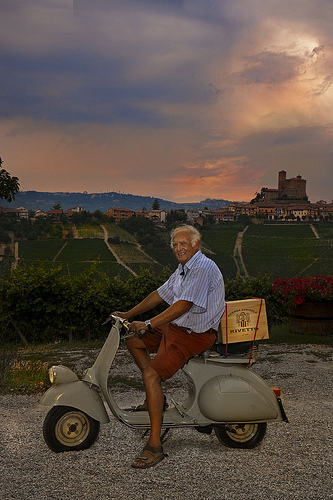 Still, I found myself in Alba, Italy, in a tiny wine store with Sergio Rivetto, the patron of Rivetto wines in the heart of Piedmont (I get goosebumps just writing that) having a conversation about wine. In our hour together Sergio opened up 4 wines in total for me to try. Then I opened up my wallet, became very vague with my wife about how much I spent on the Barolo and Barbaresco (I think I only mentioned the Barbera D’Alba price), and left with a MasterCard moment – priceless (except for the price of the 4 wines that I bought). As it gets colder many of us keep our sanity by turning to the warmth of tannic red wines. While I am in favour of that, I also urge my fellow oenophiles (yes it’s a word) to not neglect a good harvest white wine. Gewürztraminer & Riesling are perfect wines for this time of year and you don’t need to “Try a Little German” (please click on that link for a hilarious previous post) to find great examples. Ontario makes both dry and sweet Riesling and Gewürztraminer. Gewürztraminer is one of the best words in the German dictionary. I consider myself lucky to have a reason to say it – I say it because it’s fun and I drink it because it’s tasty. If you don’t know how to pronounce it then this may be useful [ɡəˈvʏɐtstʁaˈmiːnɐ] but I highly doubt it (thanks Wikipedia for nothing). The Red Brick Café is serving a dry Gewürztraminer from Strewn in Niagara. Get on down there and try a glass – or get to the LCBO and buy a bottle. The word of the day is Crémant. What is Crémant? It’s French Fizz – fake Champagne – France’s other bubbly – and it’s real good! I quite like fake Champagne. We opened a Friexnet Cava last night because I remembered that it paired well with tuna melts – really my wife makes the best tuna melt ever! Also, Cava is delicious on its own. Crémant is the French version of Cava – or actually vice versa as any Frenchman would be quick to point out. One of the reasons I love Cava (Champagne from Spain) is that it doesn’t start at $50 a bottle like “le vrai stuff”. Champagne is expensive, probably worth it if you can afford it, and fun to drink. But (“and it’s a big but” – Pee Wee Herman) you can get many sparkling wines that satisfy the palate in search of some luxury. 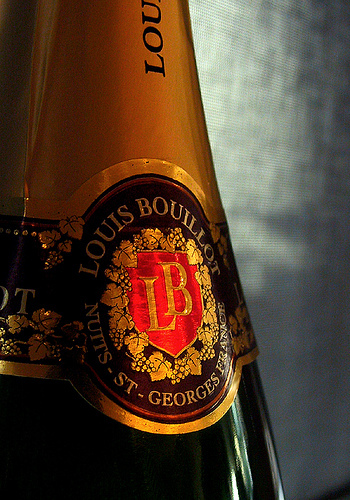 This weekend the Vintages section of the LCBO is releasing good fake Champagne from France. Crémant comes from the Loire, Alsace, Bordeaux, and Burgundy – all regions that produce great wine. Their versions of champagne allow the wine makers to highlight their own regional grapes using the traditional méthode champenoise. If you need my wife’s tuna melt recipe I might be able to get it to you. There is a movement in support of screwcaps afoot. I’m not opposed to screwcaps but I am opposed to how the movement is presented. “Hey look at us, we’re cool and hip”. “We don’t need those fuddy-duddy wine guys who look down their noses at us”. “We drink wine out of a box too!”. “Studies show that blah blah blah…”. At the Niagara wine festival I overheard one wine-maker say tell the audience, “you will never convince them that screwcaps are good”. Now it has become an Us vs. Them thing! Hey dude – you’re missing the point. This isn’t PETA or Green Peace or some anti-IMF group. We’re talking about opening wine! 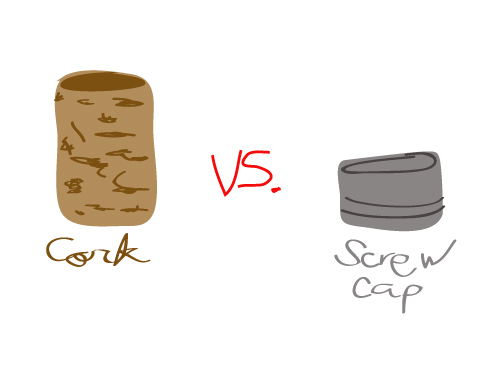 The screwcap is already cool but not because the cork isn’t. In fact, the cork is way cooler. Part of drinking wine is the whole experience, not just the drinking of it. As you can tell from my blog title, I am a fan of pulling the cork (or drawing it as the great wine snobs refer to the process) but I have several screwcap wines in my basement. They are great! 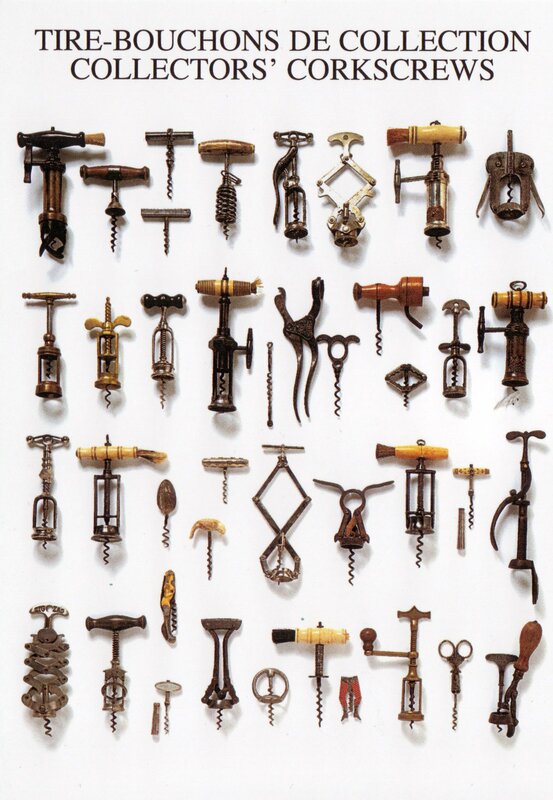 You don’t need a good corkscrew and the wines age without the chance of cork taint. But really – pulling the cork is so cool. I love my corkscrew. I even love the French word for it – le tire-bouchon. Cool again. So you “hippie stick-it-to-the-man screwcap freaks” listen closely. I like your screwcap too but show some respect for my cork! Thanksgiving weekend is here! Now I know how confusing this is to my American readers. As my American wife once said, “Why do you have Thanksgiving? You didn’t have pilgrims”. She’s right. We do Thanksgiving differently around here. We don’t put the Detroit Lions on TV (clearly an upgrade), we don’t have a Black Friday, we do have turkey, but we don’t put marshmallows on yams. Heck, we don’t even celebrate on Thursday. We do have a harvest celebration – sit around eating way too much food – and then finish it all off with pie. It’s the most gluttonous day of the year! So then, what do you drink for Thanksgiving? This is what I am having. I can help you look like a wine snob. All you need is a couple of standard lines that can be used with any wine and then you speak them with utmost confidence. Don’t be fooled either into thinking that you are the only one doing this. I had an LCBO sommelier tell me that there were smokey overtones to the wine we were trying – I believed him because after all on the wine snob ladder he is clearly higher up than I am. Furthermore, it is fun to be a wine snob every once in a while (see my previous post “Of course I’m a Wine Snob“). James Bond is a wine snob and look how much fun he has. So here’s how it goes. Swirl the wine, drink the wine, stare at it pensively and say (when asked) one of these lines …. “Oh its brave enough in the bottle, but pull the cork and it panics” – use this if you need to move up the ladder but don’t necessarily need to be at the top (i.e. your boss is also in the room and fancies themself a wine snob). Footnote – these are two of my favorite quotes by Col Hogan to Col Klink in different episodes. I confess that I watched through 5 seasons to find the 2nd quote because I couldn’t remember it.